Welcome to your downtown center for Spanish Classes in NYC - ¡Bienvenidos al Español! Learn Spanish New York is a Spanish language School founded in 2013 in Union Square, downtown Manhattan. We aim to provide affordable Spanish courses in NYC as well as cultural activities and events to those interested in learning Spanish. From beginner to advanced, and all levels in between, our goal is to help you instantly immerse in the Spanish Language as well as to provide you with the best value for each course. Learn Spanish New York's courses are always taught by native Spanish speaking tutors from around the world who will enrich your learning experience well beyond that of the classes' content and into the language culture. Most, if not all, of our instructors are or were students themselves (of English) and they fully understand the challenges and effort put behind learning a new language. This said, you can rest assure you will be in excellent hands! Spanish language classes can be fun! Our lessons are based on the world-class method of Spanish as a Foreign Language, one of the proven best ways to learn a language. Our Spanish immersion programs use the approach of fully Spanish-spoken classes from day one. With this method you'll find yourself speaking Spanish quicker than you thought possible. What's most important, you'll be learning Spanish every minute during your classes, therefore building the confidence that you need in real life situations when traveling. For those of you looking to learn Spanish quickly and/or on a budget, beyond single classes, you may review our Work-Study exchange programs through which you can take full courses for FREE. 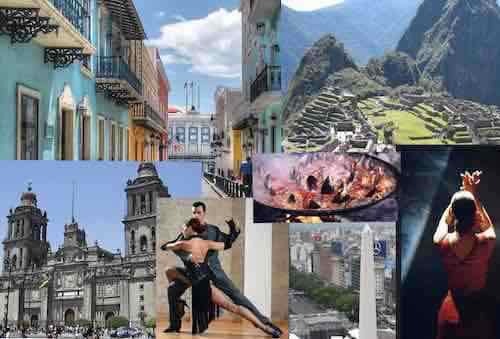 Spanish-speaking countries offer new career and business opportunities every day, besides internationally acclaimed works of cinema, literature, theater, music, more. 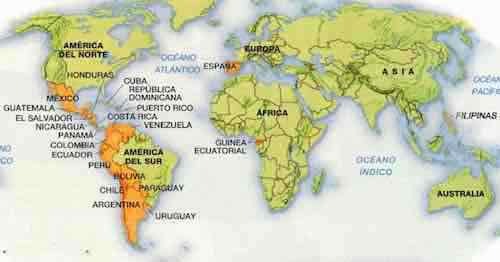 Did you know that Spanish is the most popular language in the world after english? Speaking Spanish, you can travel with confidence to more than 20 countries and 4 continents, connect local people, even make friends abroad at home. 16-hour course at only $699. One on One and online Spanish classes tailored to your needs and schedule. From beginners to intermediate, choose the topics from conversation, beginner, travel, office, location, business, medical and healthcare and much more. Get started - Book a private class! Spanish 1.2: Apr 22-May 15: Mondays & Wednesdays: 6:00 PM-8:30 PM. (Beyond Beginner Spanish. 4/22/19 at Learn Spanish New York). View what students are saying about us. I loved the Spanish 1.1 course. By the third class we were starting to speak and do dummies of real life scenarios. I loved my instructor, very friendly , patient and knowledgeable (It seems he was a Spanish teacher in his native country). I'm definitely taking Spanish 1.2. Thank you guys! by Mikka S, New York, NY United States. To apply your credit, just enter your full name as shown in your purchase receipt, in to the "coupon" area provided at checkout. You should see the discount by clicking "update". © Copyright 2015 Learn Spanish New York. All Rights Reserved.